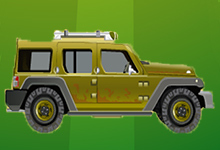 The Hulk is a giant, powerful, monster that is leading to extreme complicated situations. 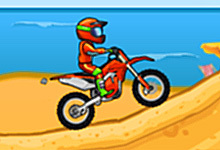 Hes our superhero and this time he rides his ATV bike for a new adventure. 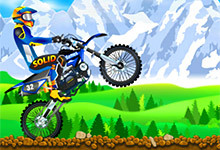 Press up arrow key to accelerate down arrow key to slow down and go backwards and left/ right arrow keys to lean bikes body to the left / right, thus make balance space bar to change direction enter button- to continue and P- to pause the game. 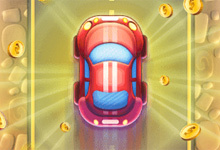 Fabulous music plays in background, while you pass all 8 levels, which naturally are getting harder as you progress through the game. 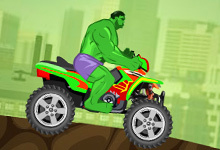 You may either play a mode where Hulk has speed and weight, but cant control the bike easy, or control easy, but with less speed and weight. 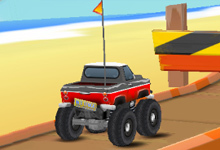 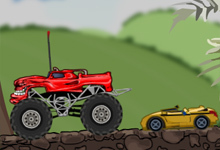 Hulk Atv is a free game which can be played at bikegames.biz. 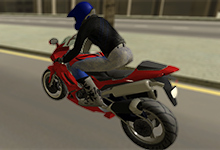 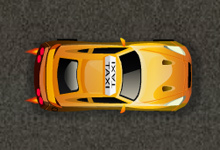 This game have been rated from administrators of bikegames.biz with 4.35 stars out of 5.